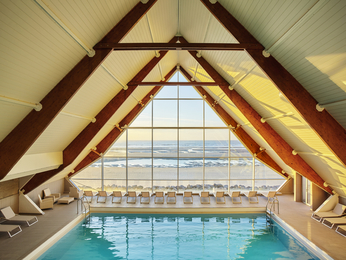 Le Touquet (Le Touquet-Paris-Plage) is a popular seaside town in France, regarded as Northern France's finest holiday resort. The area is home to a number of supremely luxurious hotels with spectacular views. 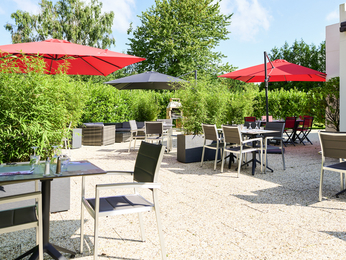 Make the most of your visit by taking your pick from our selection of hotels inLe Touquet below. Many of the local buildings were designed by Louis Quetelart, who designed a considerable number of beach villas in France during the 1920s and 1930s, which have become an attraction of the town itself. The beach is possibly the single largest draw for visitors to the area, with vast sandy areas and reasons to visit all year round. A museum dedicated to the history of the town is available with artwork from the area as well as significant cultural findings from throughout history. Le Touquet can be accessed by air from Le Touquet - Côte d'Opale Airport. Booking a hotel in Le Touquet couldn't be easier. Simply browse our selection of hotels below and choose one that best suits your needs. Booking online with AccorHotels offers a host of benefits, including our Best Price Guarantee and last minute and real-time room availability.